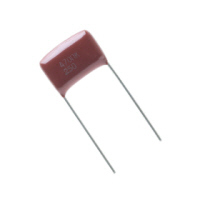 A capacitor (originally known as a condenser) is a passive two-terminal electrical component used to store energy electrostatically in an electric field. 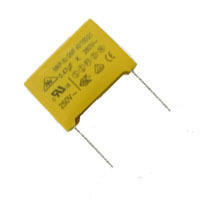 The forms of practical capacitors vary widely, but all contain at least two electrical conductors (plates) separated by a dielectric (i.e., insulator). The conductors can be thin films of metal, aluminum foil or disks, etc. The 'nonconducting' dielectric acts to increase the capacitor's charge capacity. 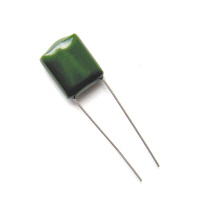 A dielectric can be glass, ceramic, plastic film, air, paper, mica, etc. 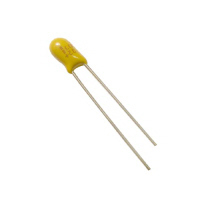 Capacitors are widely used as parts of electrical circuits in many common electrical devices. 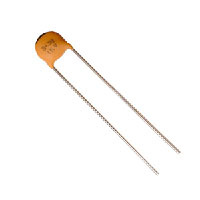 Unlike a resistor, a capacitor does not dissipate energy. Instead, a capacitor stores energy in the form of an electrostatic field between its plates. When there is a potential difference across the conductors (e.g., when a capacitor is attached across a battery), an electric field develops across the dielectric, causing positive charge (+Q) to collect on one plate and negative charge (-Q) to collect on the other plate. If a battery has been attached to a capacitor for a sufficient amount of time, no current can flow through the capacitor. However, if an accelerating or alternating voltage is applied across the leads of the capacitor, a displacement current can flow. 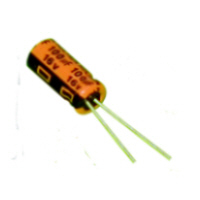 An ideal capacitor is characterized by a single constant value for its capacitance. Capacitance is expressed as the ratio of the electric charge (Q) on each conductor to the potential difference (V) between them. The SI unit of capacitance is the farad (F), which is equal to one coulomb per volt (1 C/V). Typical capacitance values range from about 1 pF (10-12 F) to about 1 mF (10-3 F). The capacitance is greater when there is a narrower separation between conductors and when the conductors have a larger surface area. 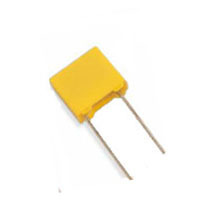 In practice, the dielectric between the plates passes a small amount of leakage current and also has an electric field strength limit, known as the breakdown voltage. 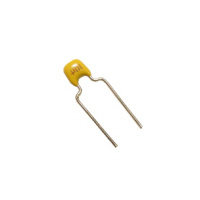 The conductors and leads introduce an undesired inductance and resistance.